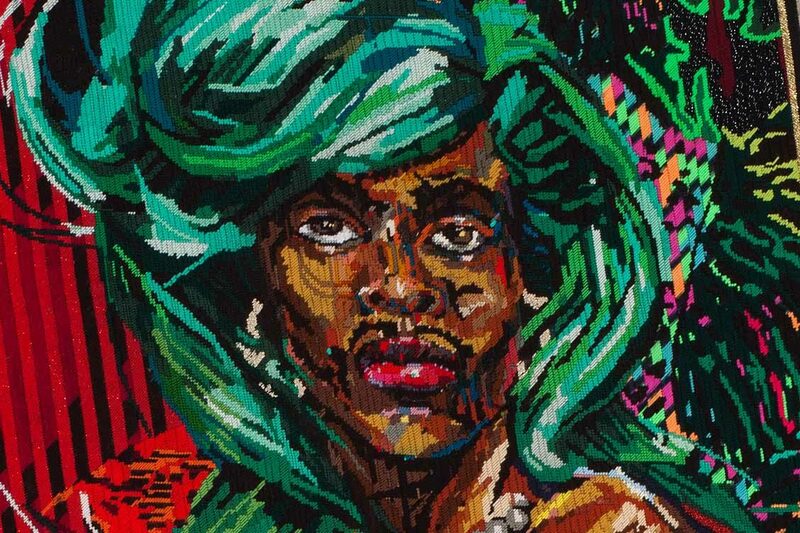 Athi-Patra Ruga is one of the few artists working in South Africa today whose work has adopted the trope of myth as a contemporary response to the post-apartheid era. Ruga creates alternative identities and uses these avatars as a way to parody and critique the existing political and social status quo. Ruga’s artistic approach of creating myths and alternate realities is in some way an attempt to view the traumas of the last 200 years of colonial history from a place of detachment – at a farsighted distance where wounds can be contemplated outside of personalized grief and subjective defensiveness. Ruga has used his utopia as a lens to process the fraught history of a colonial past, to critique the present and propose a possible humanist vision for the future. Recent exhibitions and performances include: Art Afrique, Louis Vuitton Foundation, Paris; Over the Rainbow, Performa 17, New York; Women’s Work, IZIKO South African National Gallery, Cape Town; An Age of Our Own Making, Holbaek, Denmark; Queer Threads: Crafting Identity and Community, Boston Centre for the Arts, Boston; AFRICA: Architecture, Culture and Identity at the Louisiana Museum of Modern Art; Imaginary Fact at the South African Pavilion, 55th Venice Biennale; African Odysseys at The Brass Artscape in Brussels; Public Intimacy at the SFMOMA, San Francisco; The Film Will Always Be You: South African Artists on Screen at the Tate Modern in London; and Making Africa at the Guggenheim Museum Bilbao. His works form part of Private, Public and Museum Collections here and abroad, namely: The Zeitz MOCCA ; Museion – Museum of Modern and Contemporary Art, Bolzano Italy; CAAC – Pigozzi Collection ; The Wedge Collection, IZIKO South African National Gallery.